Your journey begins in the cosmopolitan city of Vancouver. From here travel east on VIA Rail's Canadian, admiring charming alpine towns, unspoiled natural scenery, and amazing wildlife along your route. 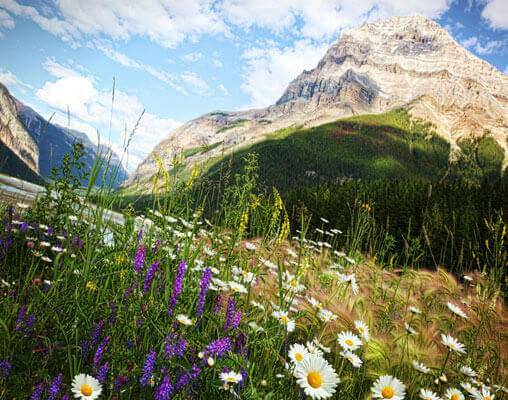 As you travel through the heart of the Canadian Rockies, enjoy stops in beautiful Jasper, tranquil Lake Louise, and to the small town of Banff before continuing your journey across Canada to Toronto. 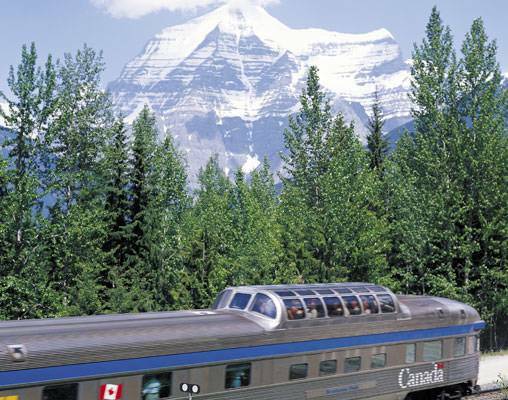 Your rail adventure across Canada and through the Canadian Rockies includes first-class train accommodations including access to the Canadian's Skyline and Park Cars, moderate, superior or deluxe hotel accommodations, sightseeing, ample time at your leisure, and more! 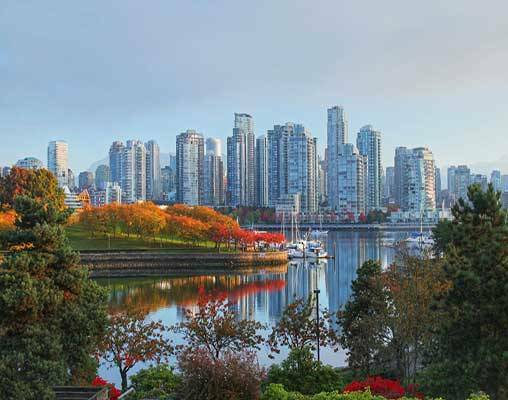 Arrive in the coastal city of Vancouver and check-in to your hotel. 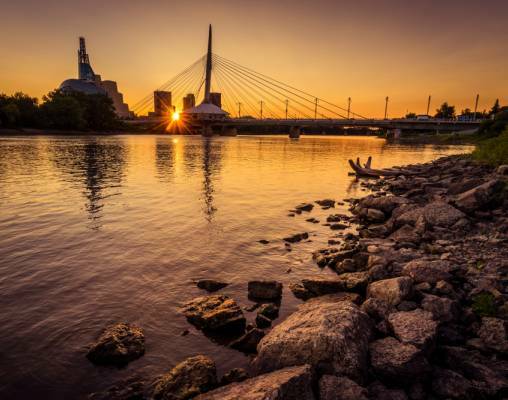 Located in the heart of the city, you're close to many of the city's attractions, shops, and restaurants. Take the day to explore this scenic city on your own. Included is admission to the Vancouver Lookout, offering panoramic views of the city. Overnight Vancouver. You have a full day to enjoy the beauty of Lake Louise today. Perhaps spend the day exploring the surrounding wilderness, or visit the famous Fairmont Chateau Lake Louise, and the eponymous lake. Known for its turquoise waters, the glacier-fed lake is surrounded by high mountain peaks and is overlooked by the stately Chateau. Overnight Lake Louise. Travel east today to Banff, a resort town surrounded by the Sulphur and Cascade Mountains. The town, originally settled by the Canadian Pacific Railway in the 1880's, is a veritable playground, offering an assortment of activities including hiking and biking paths and pristine ski areas. One of Banff's most popular attractions is the Banff Upper Hot Springs located in Banff National Park. Overnight Banff. Today we explore the exciting town of Banff. 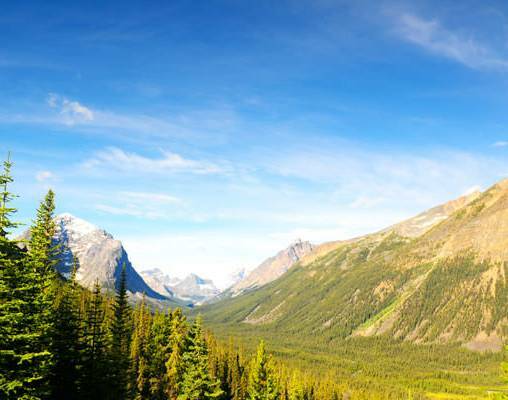 Enjoy a gondola ride to the top of Sulphur Mountains and a visit to Banff's National Park. Be sure to carve out time to visit the grand Banff Springs Hotel, a former railway hotel constructed in the Scottish Baronial style in 1888. Overnight Banff. The morning is yours to enjoy Banff at your leisure. Later today, transfer from Banff to Jasper. Overnight Jasper. Your last day in the Rockies is free to explore at your leisure. 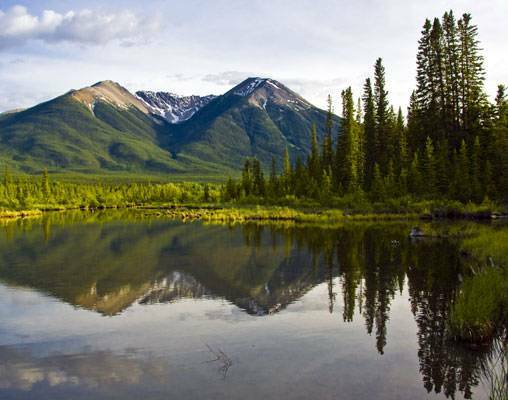 Take some time to stroll the quaint mountain town and its many shops and restaurants, take a wildlife tour, or venture out onto the Summit Trail at the peak of the Jasper SkyTram for unprecedented views of six mountain ranges and the Athabasca River. Overnight Jasper. Your trans-Canada journey ends this today. You may wish to extend your stay in Toronto in order to better explore this cosmopolitan city. Or, transfer to the airport for your return flight home. Hotels include the Delta Hotel Vancouver Downtown, Whistler's Inn, Deer Lodge, Banff Ptarmigan Inn, and Chelsea Hotel. VIA Rail accommodations are Sleeper Plus Class in a semi-private berth. Meals are included onboard the train along with access to the Park car with its lounges and 360-degree panoramic views. Hotels include the Sheraton Vancouver Wall Centre, Sawridge Inn & Conference Center, Post Hotel, Rimrock Resort, and Sheraton Centre Toronto. VIA Rail accommodations are Sleeper Plus Class in a private cabin. Meals are included onboard the train along with access to the Park car with its lounges and 360-degree panoramic views. Hotels include Fairmont Hotel Vancouver, Fairmont Jasper Park Lodge, Fairmont Chateau Lake Louise, Fairmont Banff Springs Hotel, and Fairmont Royal York. VIA Rail accommodations are Sleeper Plus Class in a private cabin. Meals are included onboard the train along with access to the Park car with its lounges and 360-degree panoramic views. Enter your details below if you would like to be notified when 2021 dates and prices are available for Trans Canada by Rail & The Rockies. Prices are correct at the time of publication, however are subject to change at time of booking. Hotel and Rail accommodations listed above, are subject to change based on availability at the time of booking. 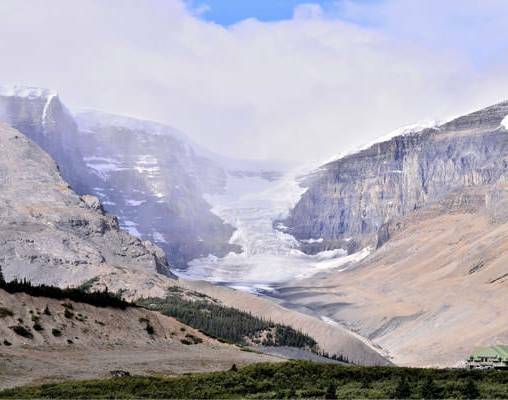 Explore Banff and the Ice Explorer Tours onto the Columbia Icefields are subject to seasonal operations. Prices are correct at the time this web page is published; however, are subject to change. Prices are land-only, per person based on double occupancy. Taxes are not included on rail portions and are subject to change.